We think sending a fruit bouquet ‘Just Because’ is reason enough! Whether you have any sentiment to gift for, or even want to gift to yourself (just because you can! ), the brand-new Just Because Bouquet™ deliciously says it all. 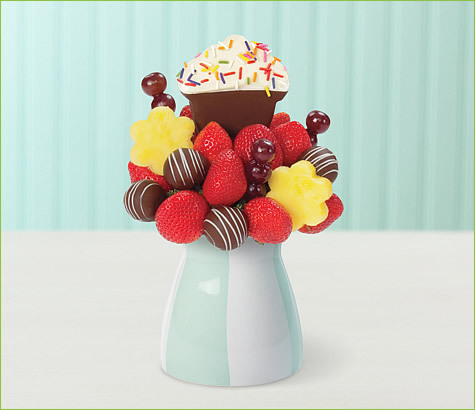 This fruit bouquet comes artfully arranged with a pineapple-shaped cupcake hand dipped in semisweet and white chocolate and topped with sprinkles, accompanied with apple fruit truffles with swizzle, strawberries, grapes and pineapple. Container may vary.